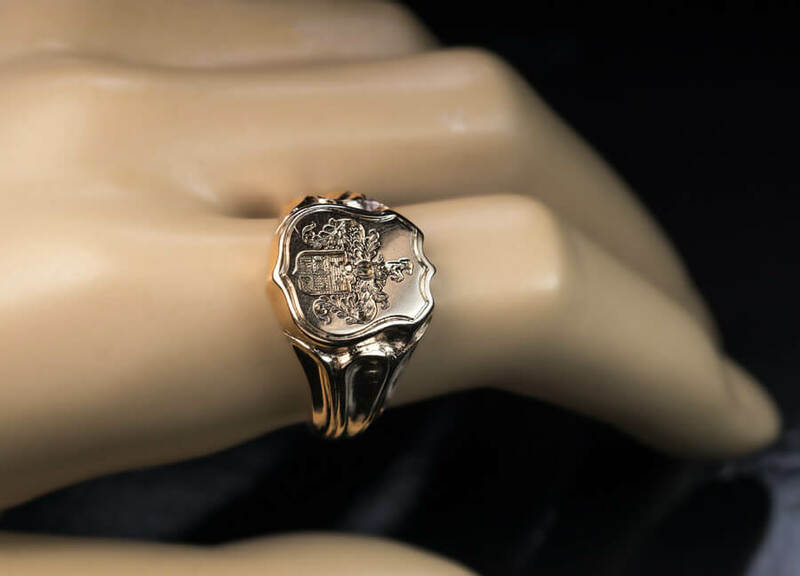 This antique Russian 14K gold men’s armorial seal ring features a finely carved noble coat of arms. 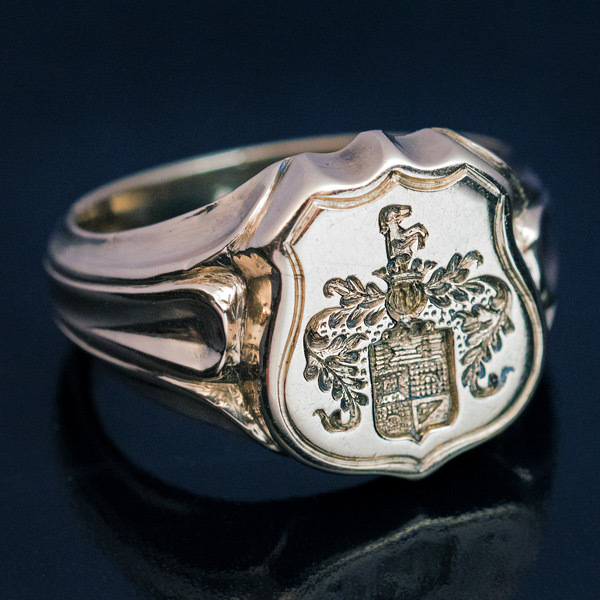 The highly unusual element of the armorial is a profile figure of a hunting dog placed over the crown of nobility. 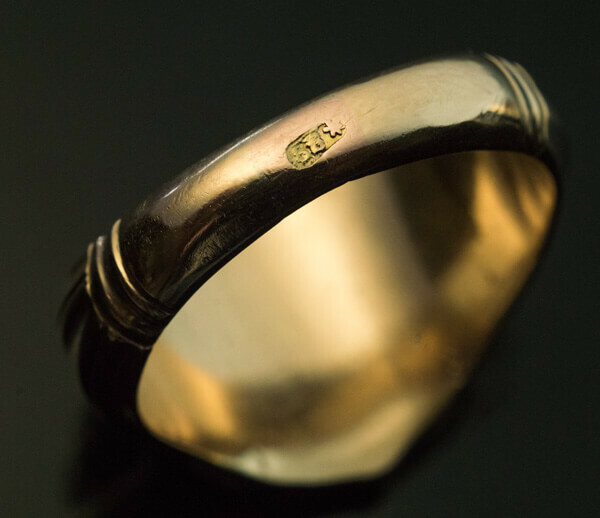 The presence of the hunting dog is a likely indication that the original recipient of the title of nobility was in charge of tsar’s hunting. 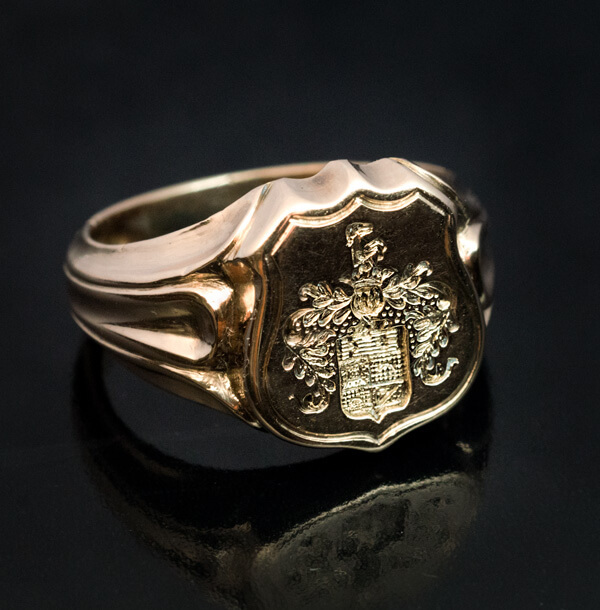 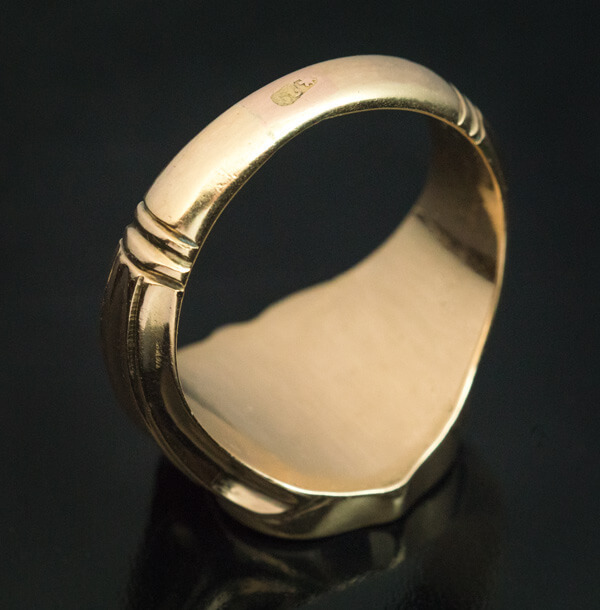 The ring is marked with 56 zolotnik Imperial gold standard and St. Petersburg assay mark.